November 2018 - Last night saw Francis Joyon triumph in the Route du Rhum, crossing the finishing line in the French Caribbean island of Guadeloupe, having left Saint-Malo in Brittany on November 4. 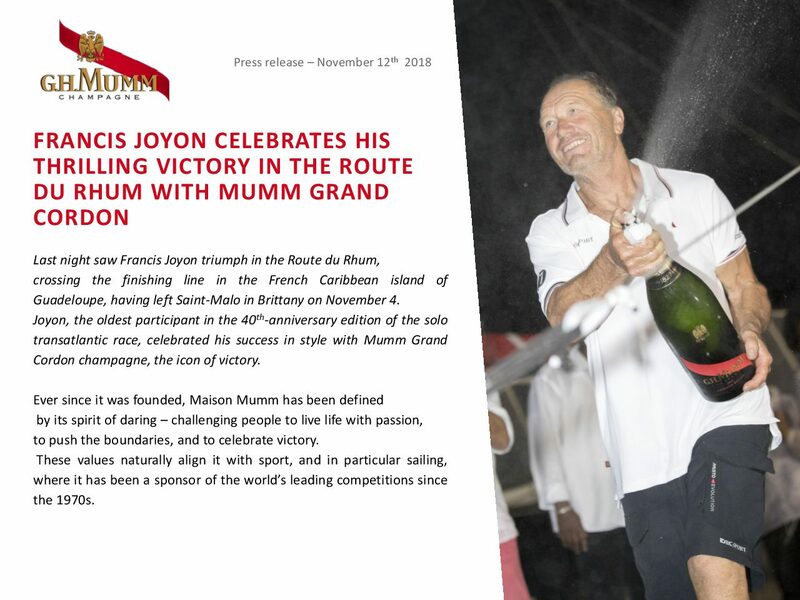 Joyon, the oldest participant in the 40th-anniversary edition of the solo transatlantic race, celebrated his success in style with Mumm Grand Cordon champagne, the icon of victory. 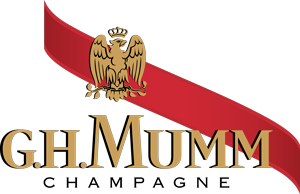 Ever since it was founded, Maison Mumm has been defined by its spirit of daring – challenging people to live life with passion,to push the boundaries, and to celebrate victory.These values naturally align it with sport, and in particular sailing, where it has been a sponsor of the world’s leading competitions since the 1970s. In his quest for the Route du Rhum 2018, Francis Joyon exemplified the values advocated by Maison Mumm.He first entered the legendary race in 1990, but had never previously been successful. The Brittany-born yachtsman demonstrated exceptional willpower to overcome every challenge, winning the race after a spectacular final duel in a new world-record time of 7 days, 14 hours and 47 seconds. At the age of 62, Francis Joyon emerged triumphant from one of his most difficult challenges and celebrated with Mumm Grand Cordon champagne, the icon of victory. Once again, Maison Mumm invites us all to #DareWinCelebrate!